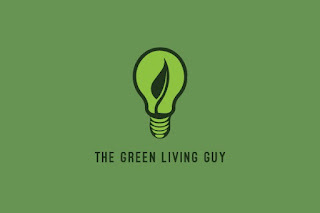 My long-time friend, The Green Living Guy Seth Leitman, will be visiting Orlando Science Middle/High School this Friday, May 4 at 9:00 AM to help educate the 7th and 8th graders! As part of his tour, he will be donating his Green Guru Guide Books to schools throughout the country including 500 to the students at Orlando Science Middle/High School. The Green Guru Guides show the reader how to do a particular task, whether it’s building a new energy-efficient vehicle, greening a particular task, or greening an entire home. These green living guides focus on implementing environmentally friendly technologies and making them work for you. Seth is a best-selling author, prolific blogger and thought leader of the green economy and Consulting Editor for TAB McGraw-Hill on the Green Guru Guides series of nine books. He offers Green Living Eco Consulting through ETS Energy Store, LLC to help educate people, companies and government on how to go green, live greener and provide green living economic opportunities. Seth will be sharing his knowledge about green living and answering students' questions. By the end of the school year, he hopes to give each child a FREE copy of one of his Green Guru Guidebooks. The mission of Orlando Science Middle/High School is to offer middle and high school students in Orange County a high-quality education, aligned with the Florida Sunshine State Standards, in an intellectually nurturing learning environment. Its purpose is to enable students to reach their maximum potential in all subject areas with special emphasis on mathematics, science, and reading utilizing state-of-the-art curricula such as Connected Mathematics Project (CMP), College Preparatory Mathematics (CPM), Foundational Approaches in Science Teaching (FAST), and Academy of Reading. To learn more, visit http://www.orlandoscience.org. Thank you Seth for helping out our Orlando community! To learn how your school can benefit from Seth's Green Guru Guide Booktour, visit www.greenlivingguy.com, https://greenlivingguy.com/book-tour/ or follow him on Instagram at @GreenLivingGuy. 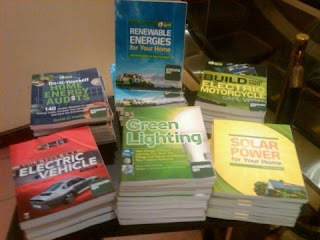 The Green Guru Guides show the reader how to do a particular task, whether it’s building a new energy-efficient vehicle, greening a particular task, or greening an entire home. These green living guides focus on implementing environmentally friendly technologies and making them work for you. I write more about this technology in my blog seifertforgovernor.com . Becoming more green in every day task is essential for this world to be as good for our kids and grand kids as it is for us. Thanks for your article on this Shane Shirley :) My company is as green as possible! Everybody thinks about the steady discuss practicing green and aiding are planet's ecological issues. Be that as it may, are there any guidelines to pursue or would it be a good idea for us to truly be concerned? That is the reason I chose to compose this "Green Guide for Today's Household", a short manual for help you settle on choices about green living. I find https://www.anaheimtreecare.com this very good helpful site. You can visit this site. Hi Shane Shirley, Nice post.Glad to find the information. Ending up more green in consistently undertaking is fundamental for this world to be as useful for our children and amazing children for what it's worth for us.Keep posting these kind of stuff.Thanks for sharing.